A user who needs a more versatile observational system has the option to swap out third-party probes on the profiler. Mounting the SeaCAT CTD SBE19plus at the profiler. 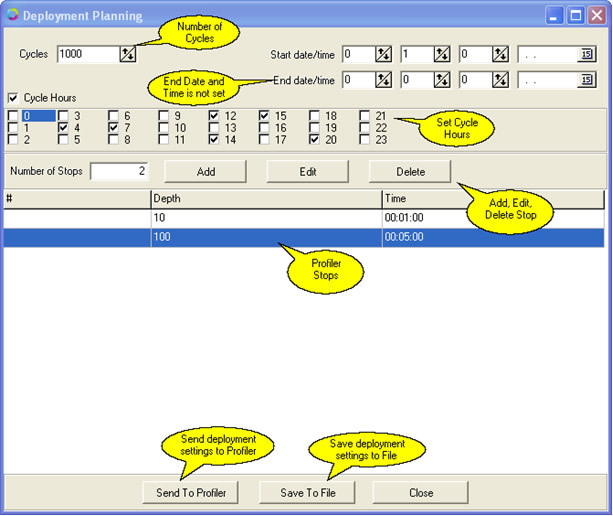 The Aqualog Profiler software menu for planning of the deployment. 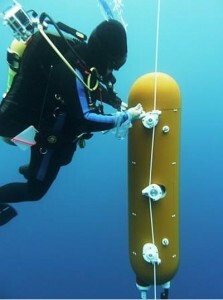 Designed specifically to enable the deployment by a diver to achieve the goal of reduced maintenance cost. The profiler can be mounted on a pre-deployed mooring line by a dive team and then started by magnetic key in the water. 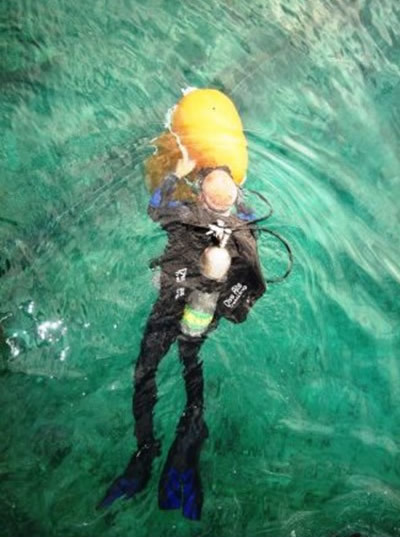 Similarly, the profiler can be retrieved by a dive team, provided its minimum depth is accessible. These features make deployment easier and reduce mooring maintenance costs. mooring line. Divers: Oded Ben-Shaprut (left) and D.F. Carlson (right). Ideal for long-term monitoring of the marine environment and is especially well-suited for climate change studies. The extended deployment capabilities of the profiler make it an ideal platform for obtaining in situ profile data during adverse conditions (for instance high winds and rough seas) that would normally preclude shipboard operations. The profiler can be deployed before a stormy season and recovered afterwards.